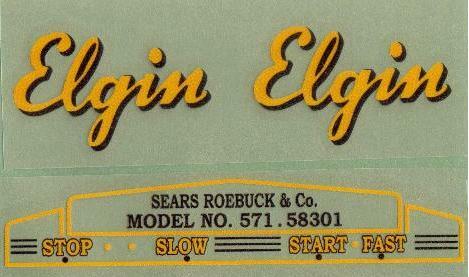 This Decal set is for the 1 1/4 Air Cooled Elgins that were made from 1946 – 1952. Decal sets are all sticky back vinyl. Full sets include “Elgin” side decals and front decal, the model number is on the decal. Cost: $23, free shipping.